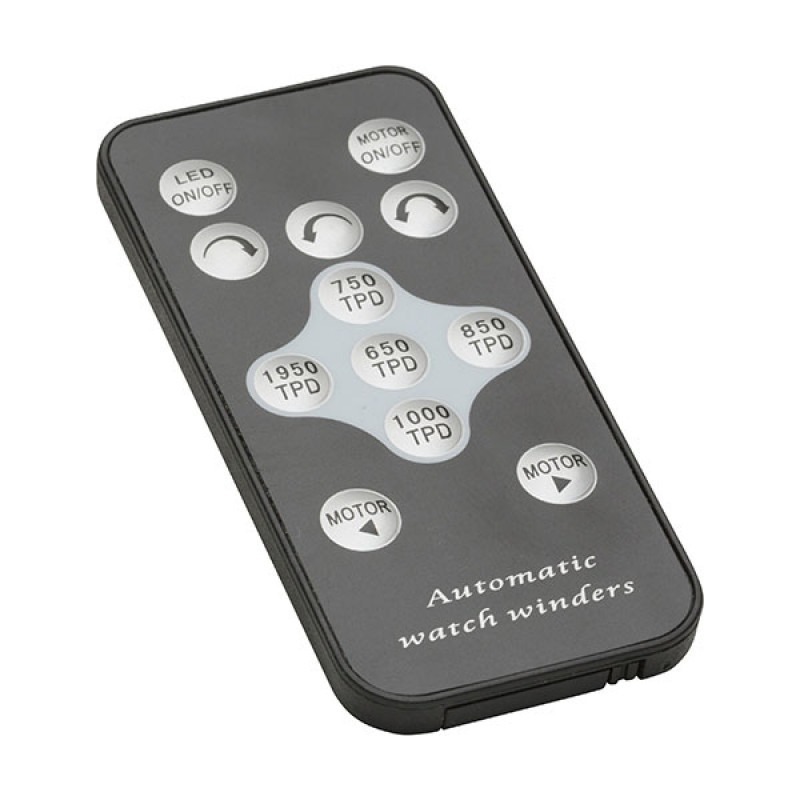 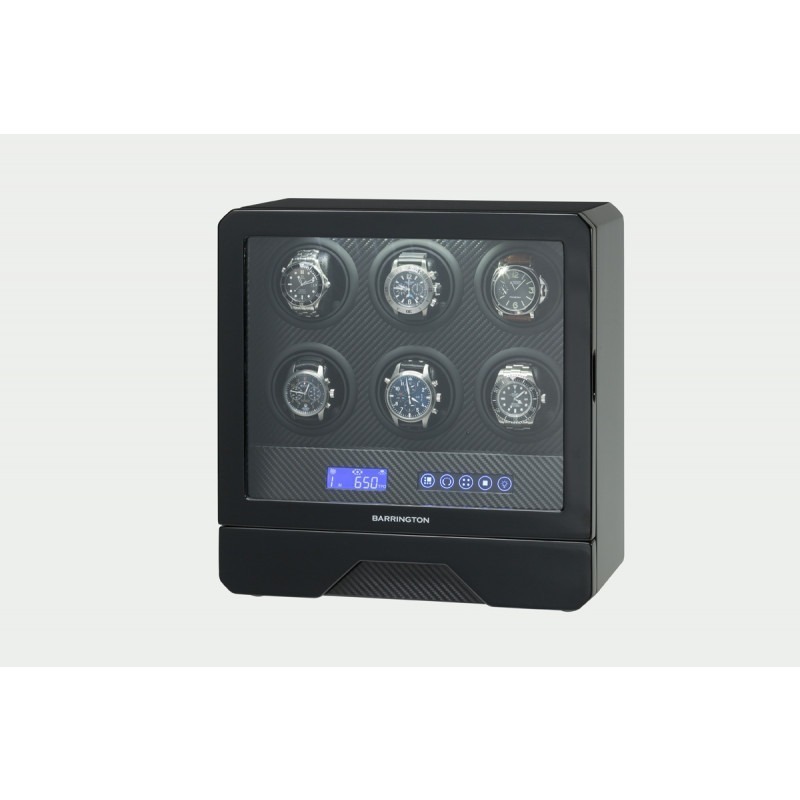 In common with other models in our automatic watch winder range, each rotor is individually programmable with variable settings (anti-clockwise, clockwise and alternating rotation) and the ability to set the number of turns per day to 650, 750, 850, 1000 or 1950 rotations. 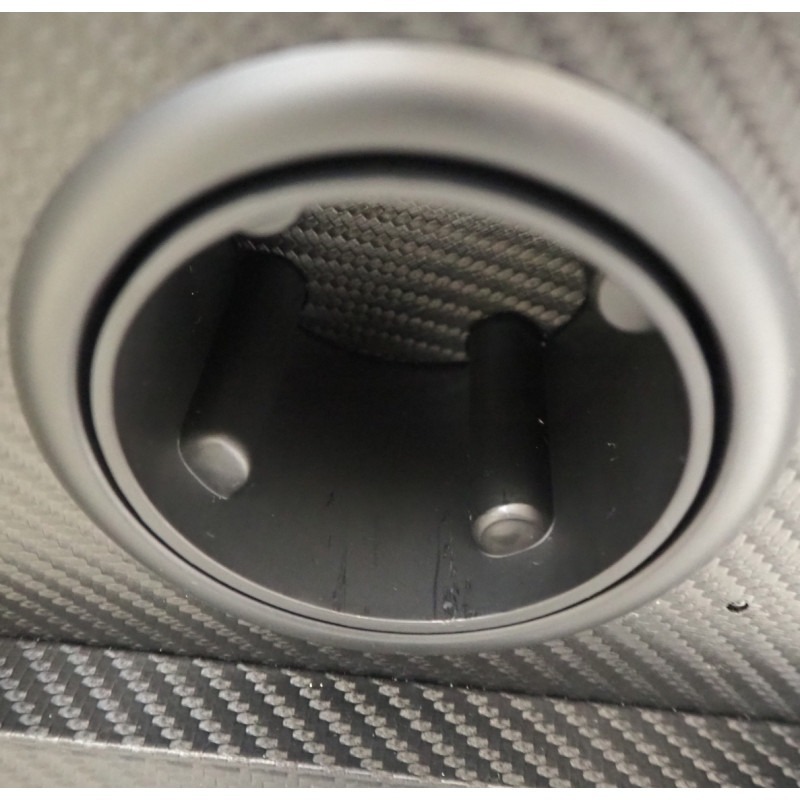 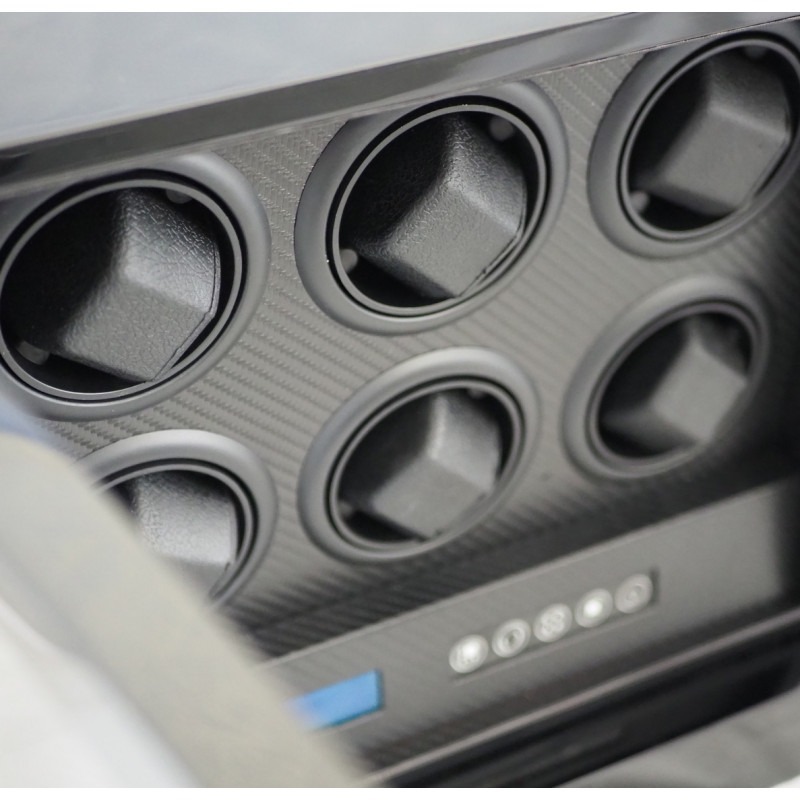 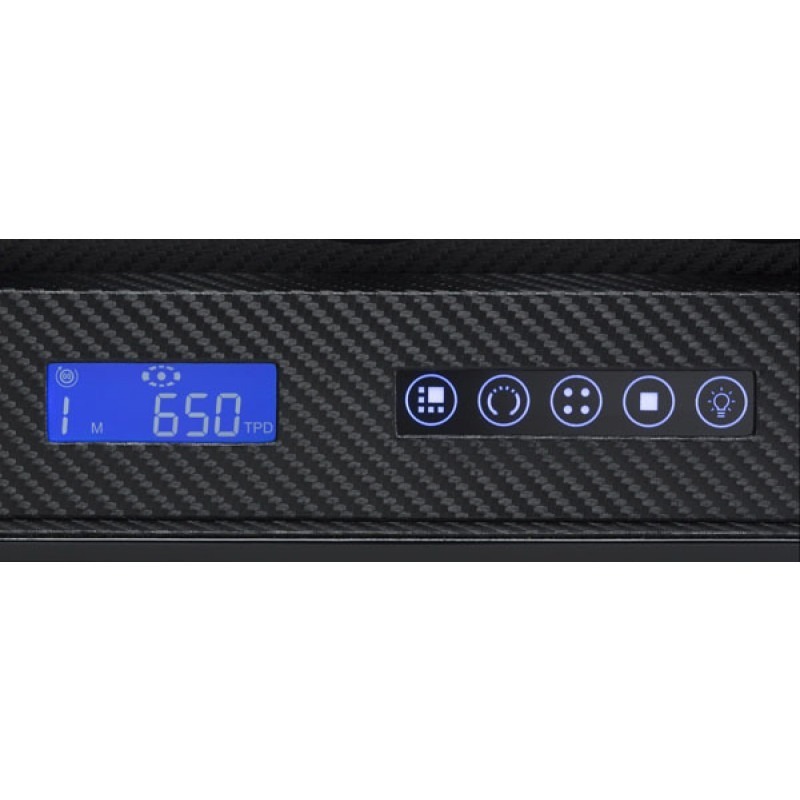 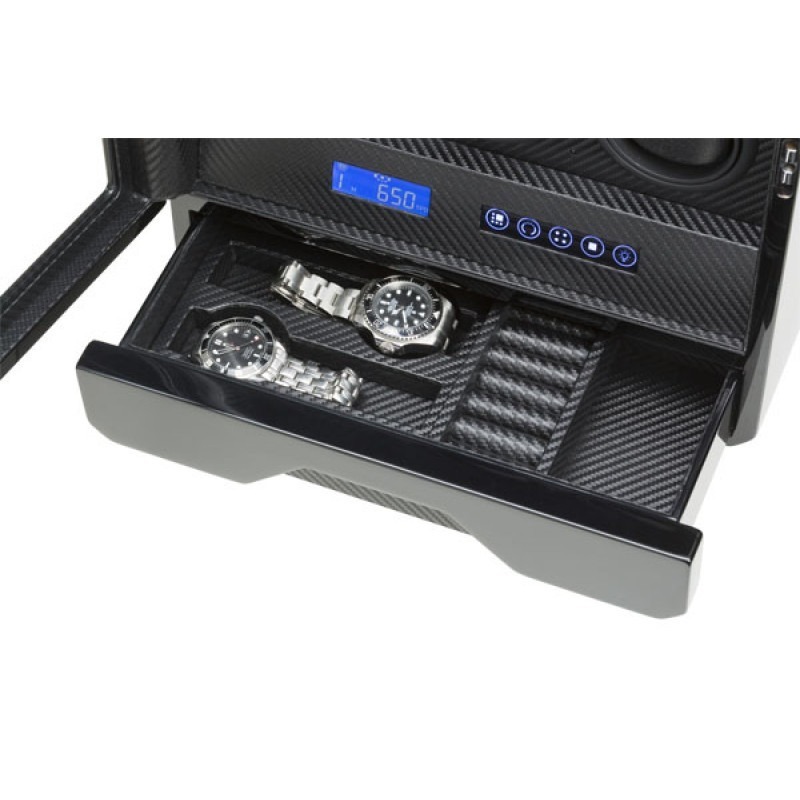 Featuring ultra-quiet Japanese motors, a remote control and digital display, the unit is set in a carbon fibre-effect backdrop with LED downlighters and a built-in storage drawer, ideal if you have extra watches to accommodate. 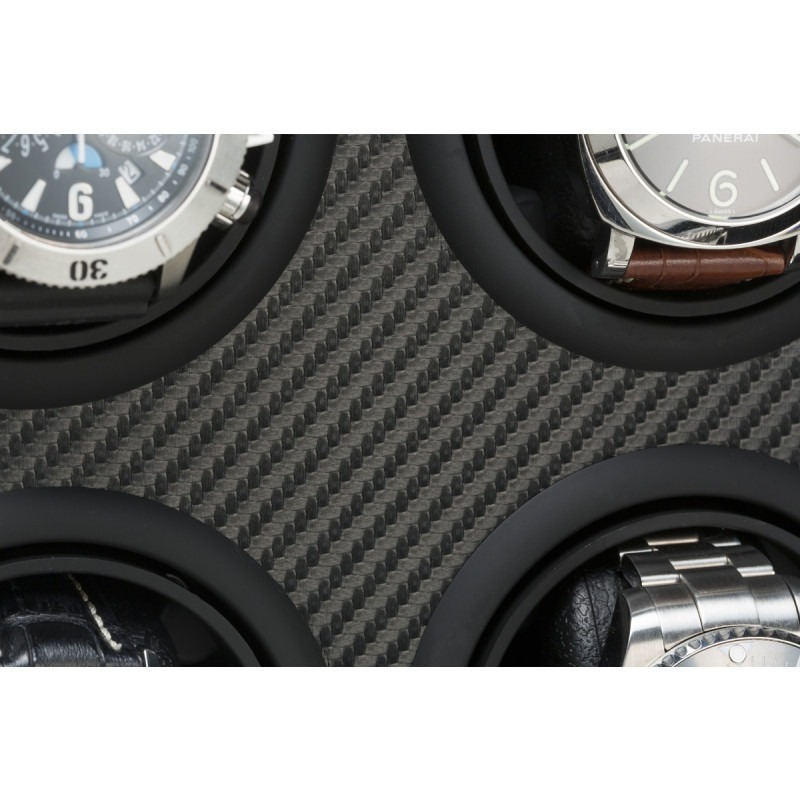 At Barrington we take design and quality seriously and we aim to deliver that in every one of our products. 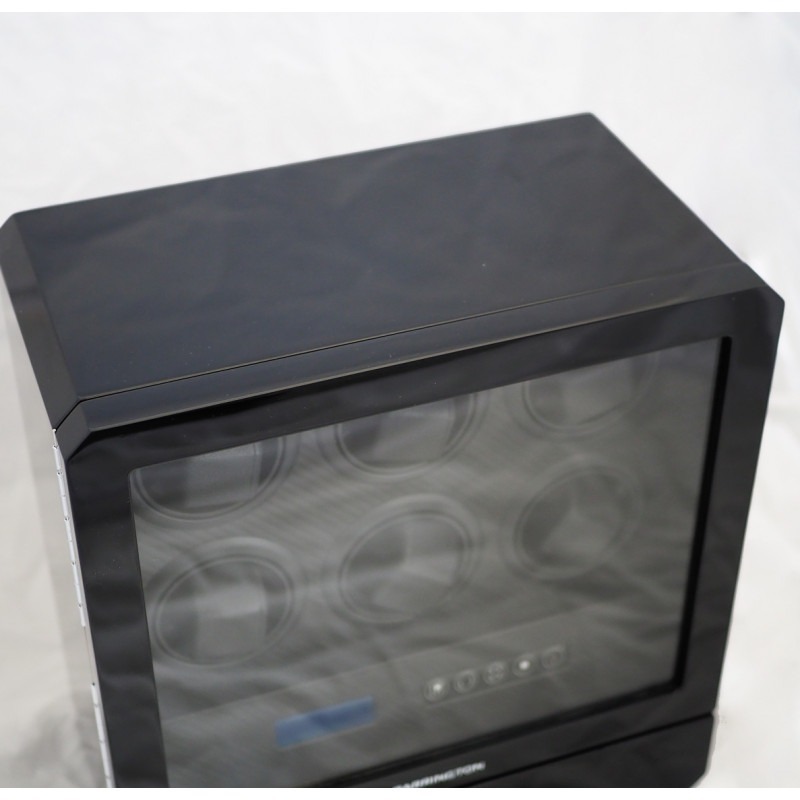 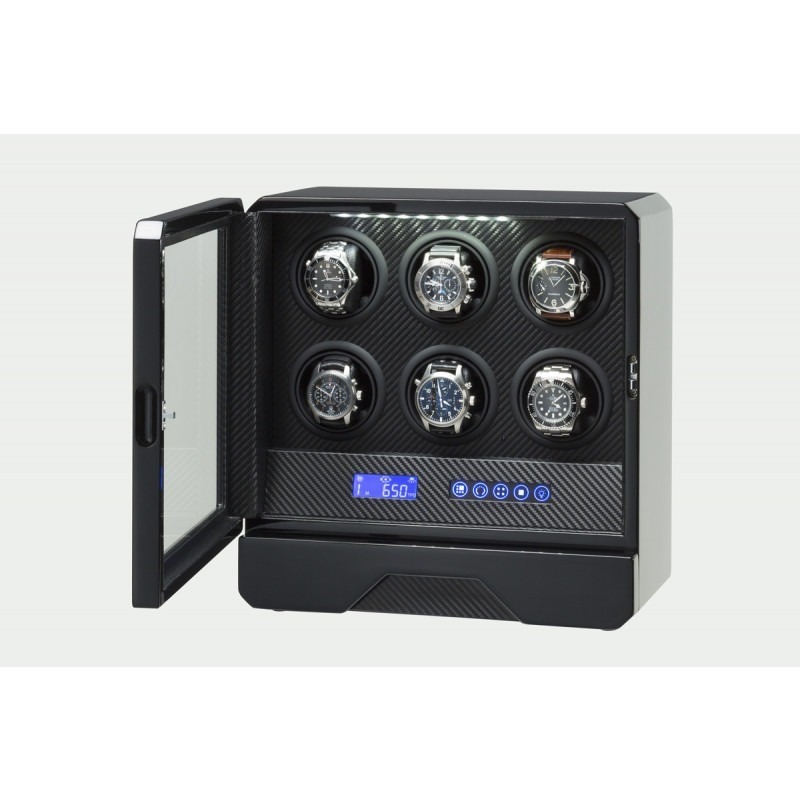 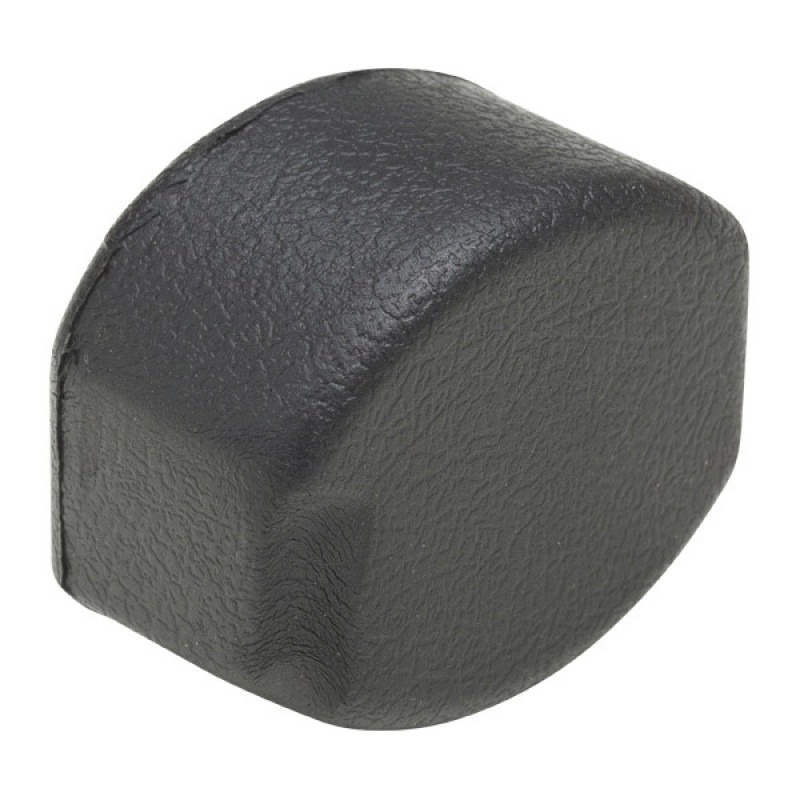 We offer models from the single and dual watch winder up to 12-watch winders, as well as a range of accessories includes repair kits and watch cases. 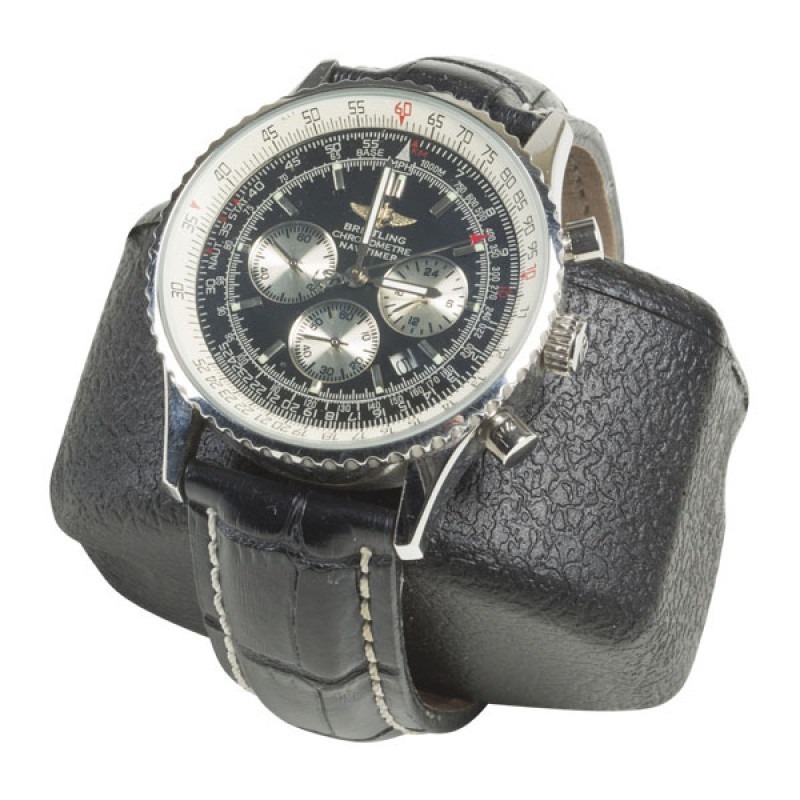 With free UK mainland delivery, we aim to ship all items within 24 hours and use only reputable couriers such as Royal Mail, MyHermes, UPS and FedEx.